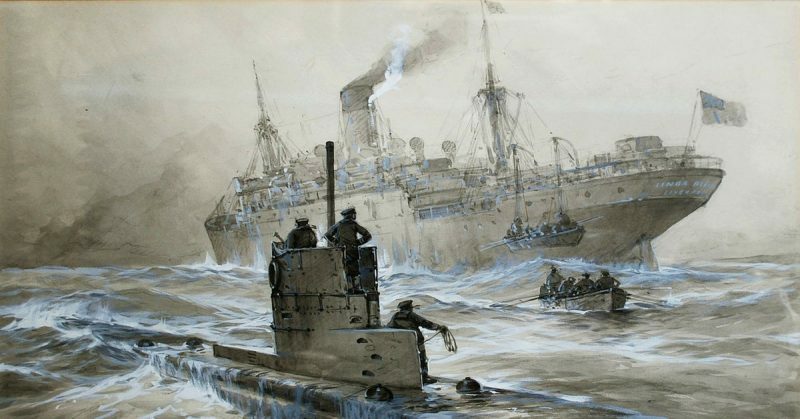 Sinking of the Linda Blanche out of Liverpool, painting by Willy Stöwer. Jeremy P. Ämick writes is a military historian and author of the upcoming book “Missouri at War” by Arcadia Publishing. The education Marvin Strolberg received during a military experience that spanned two wars and two branches of service was invaluable, the veteran noted; however, the details of his time in uniform have not been something he has dwelled upon in recent years. More accurately, he affirmed, they are more of a distant memory that required “dusting off” during a recent interview. 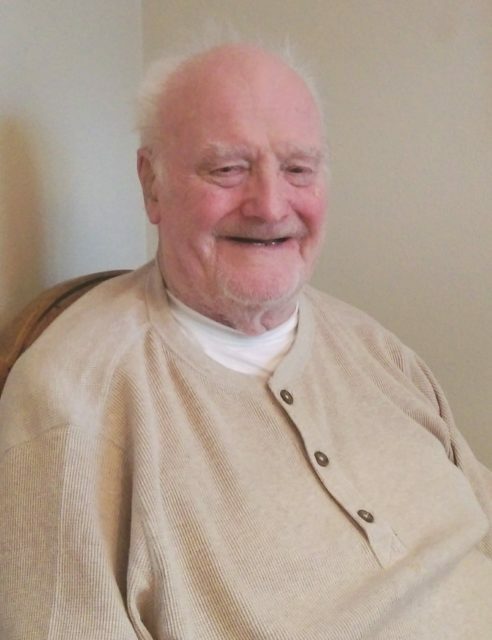 “I can tell you its been many, many years ago and I’ve probably forgotten a lot of the particulars of what happened,” humbly admitted the 89-year-old veteran when discussing his military service from decades earlier. Growing up in Minneapolis, Minn., Strolberg completed his junior year at Miller Vocational High School when he decided to postpone his education and join the Merchant Marines after learning they were in dire need of men to serve. World War II was a frenetic period for U.S. shipyards as cargo vessels were being built faster than men could be recruited and trained to serve on the crews. A critical component of the nation’s defense, the ships operated by the Merchant Marines were needed to deliver equipment and other supplies necessary to support the war in Europe and the Pacific. “In 1944, they sent me to Sheepshead Bay, New York,” said the former mariner, discussing his arrival at U.S. Maritime Service Training Station. “That’s where we did all of our training,” he added. Throughout the next several months, the aspiring seaman underwent military-type training that included physical fitness activities, instruction on drill and ceremony, which was then followed by an introduction to the details of seamanship in such areas as mast-rigging, ground tackle and mooring lines. Martin Strolberg joined the Merchant Marines after his junior year of high school in 1944. Years later, he would serve with the Air Force in the Korean War. Courtesy of Jeremy P. Ämick. In May 1945, he and approximately four dozen fellow mariners graduated from their training and were assigned to details aboard the various ships transporting supplies overseas. The young mariner’s service came to a close in 1948 and he returned to Minneapolis, where he was able to receive his high school diploma because of credit earned for the time he served in the Merchant Marines. He then enrolled in classes at the University of Minnesota, but the Korean War erupted in June 1950 and soon caused another delay in Stolberg’s educational pursuits. 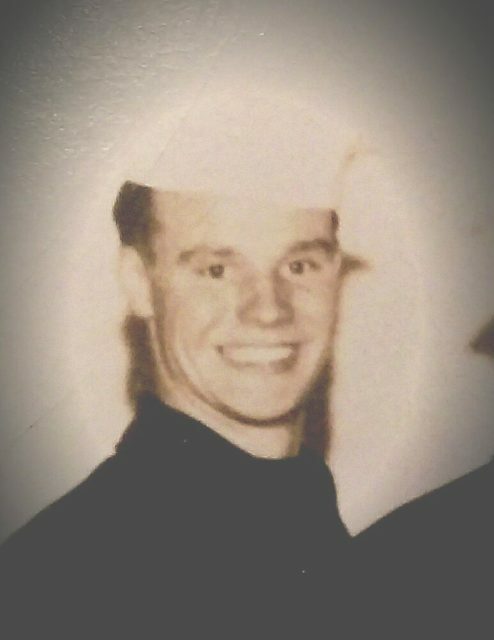 Strolberg is pictured in 1945 in his graduation photo from the United States Maritime Service Training Station located in Sheepshead Bay, New York. Courtesy Marvin Strolberg. Months following his enlistment, Strolberg’s unit was activated and sent to Kimpo (also referred to as “Gimpo” ) Air Base in Seoul, South Korea, where he was attached to the Fourth Fighter Interceptor Wing and served as senior clerk for an Air Force legal officer. Spending twenty-one months on active duty, nine of which was served overseas, Strolberg returned to the United States and was discharged from the Air Force in October 1952. He returned to school to finish up his degree and in 1953, married his fiancée, Betty. He and his wife went on to raise three children, and Strolberg traveled across the United States while engaged in a number of business endeavors. For 26 years, the couple lived in Camdenton, Mo., but have since relocated to Jefferson City, Mo., to be closer to their daughter and grandchildren.